This photo is useful in that it settles once and for all any confusion over which Matson liner brought the Altair to Australia, for the name Mariposa can be read on the stern of the ship. While we have a fair idea of what happened to the Altair, the fate of the Mariposa and the Titan may not be so well known. The Mariposa was launched in 1931 and made her maiden voyage in 1932. During the war she became a troopship, later to become a trans-Atlantic liner and cruise ship under the name Homeric. In 1973 she was badly damaged by fire and deemed uneconomical to repair. The following year she was broken up for scrap in Taiwan. The Titan was built in England and assembled at Sydney's Cockatoo Island Dockyard in 1918/19. 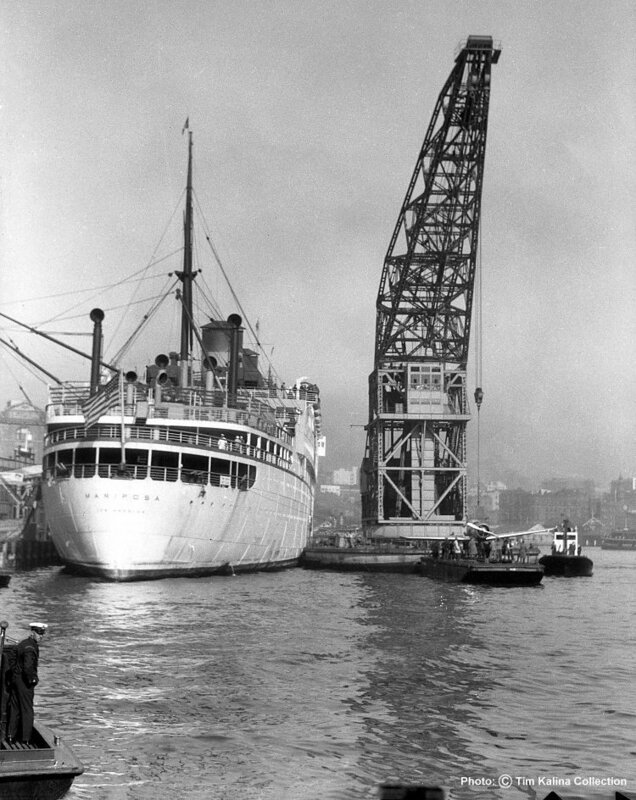 In addition to facilitating the arrival of Smithy's Altair, the Titan also featured prominently in Sydney's shipping and harbourside development. Following the closure of the dockyard in 1991, the Titan was sold in Singapore but capsized and sank off the north coast of New South Wales while under tow on 25th December 1992.